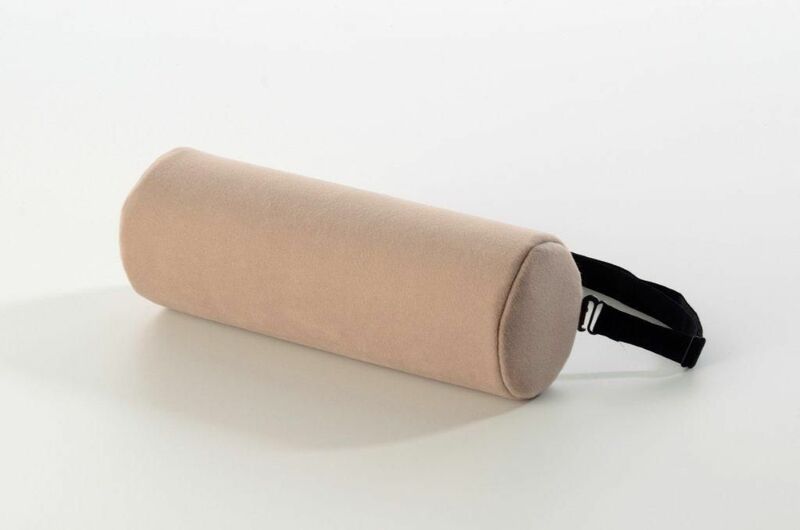 Backrest Lumbar Roll For Improved Lower Back Support. The Lumbar Rolls improved design mean you will feel them supporting the lower back counteracting slouching when sitting at home, at the office or in the car. The Lumbar Rolls are designed to be placed at waist line between you and your seat, sit well back in your seat and adjust for immediate support. They are made from Super 50 grade foam, 300mm long and covered in hard wearing velour with adjustable fixing strap. Available as 4" or 5" Diameter.